From coining the concept of Big Friday in 2015 and propelling Pakistan’s first billion-rupee sale in 2016; Daraz has now established this global phenomenon as a staple of the commercial calendar for the nation. Now it’s time to give this event an identity of its own. The biggest shopping event of the year shall from hereon be known as the BIG FRIDAY SALE! Get ready for new MEGA DEALS, Best Sellers and Exclusive Launches of the long awaited products in Pakistan only at Daraz.pk. With an origin decades ago, Big Friday is a grand shopping season in the US to target the potential shoppers. The long weekend allows an influx of revenue through online retail shopping every year. It has gradually grown into a global phenomenon, hosted by various countries to keep the enthusiasm alive to shop for all the desired products at great prices. The deals found on this particular day will not be found on any other day of the year. It is a limited time opportunity to satisfy your shopping needs without a pause. Mark your calendars - November 2019 is the date for Big Friday in Pakistan. Starting from 12:00am; you can avail the amazing Big Friday deals. Furthermore, you can avail some specials on downloading the Daraz online shopping App for easy access. What can I expect from Big Friday sales by Daraz.pk? With up to 86% discounts, you can expect to have the finest shopping experience without a match anywhere else. Big Friday at Daraz.pk will bring to you the best deals and special offers in the country. You are about to witness the biggest sale of the year to sway your hearts. Why it’s named as Big Friday instead of Green or White Friday? In the older accounting practices, losses were recorded in red whereas the profits were recorded in "Big". The concept of Big Friday emerged during this time heralding all the commercial transactions that took place during the holiday season as people shop for gifts and necessary items. Retailers in those times recorded a flood of customers and increase in sales therefore, the name came in to being. However, it is important to note that the term Big Friday has no religious or cultural reference. It is simply a name given to the biggest annual shopping event. The discounts will always be enticing even if the name of the event was changed. How can I grab amazing deals on Daraz Big Friday 2019? If you are not willing to miss out on the unbelievable deals this Big Friday, you can stay updated through our website or download the Daraz App on your mobile phones. What products do I get on Daraz on this day? You will get the best sales and exclusive discounts on everything, ranging from electronics to fashion and everything in between. It is a perfect time to upgrade your tech or make additions to your wardrobe. If you were waiting for the prices of your desired gadget to drop or a bundle to be offered - this is an ultimate time to shop till you drop. As you know the Big Friday is over but you can still grab some amazing deals on Mobile phonesincluding the renowned brands like Samsung Mobile, Apple, Huawei Mobile, Motorola. Also keep an eye on our exclusively launched products like Galaxy Note 8, the newly launched Galaxy S9+, and Honor 7x & Honor 9 Lite. Also, Don't forget to check out our latest Eid Collection 2019 if you want some of the best deals during this Eid Festival. How can I pay for the Big Friday deals? Payment can be made through the traditional payment methods such as cash on delivery. However, you can make payments through debit/credit cards to avail additional discounts from a number of Bank Partners and Payment Gateways. 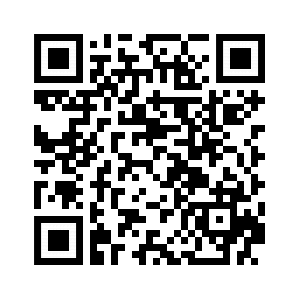 What is the Big Friday Special QR code? QR Codes are a form of barcodes. You scan them using your phone; iPhone camer as have inbuilt QR code scanners - Android users need to download the QR code app to be able to scan the code. Find & scan the Big Friday QR code, download the Daraz app and avail a Rs 500 discount voucher during Big Friday. Daraz has brought 12.12 sale just after the successful 11.11 sale in Pakistan (a single's day) shopping event with mega discounts.